So, the changes at work that we were anticipating have been announced. I have a new manager, and a new department head. It's... going to be fine, but it was kind of a lot of info to take in over a short period of time. So the good news is, my new manager's manager? Used to be my manager, some time ago. 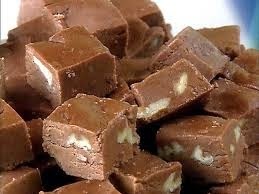 Only I didn't say fudge. Anyway. Que sera, sera... whatever will be will be.